Another really cute card, Francine! 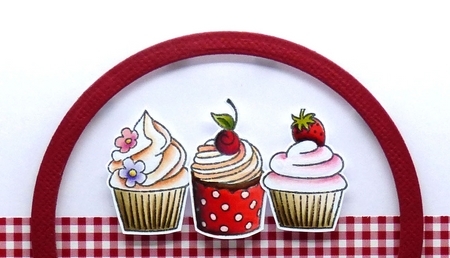 I love how you colored the cupcakes, and the gingham strip is so pretty! You always showcase the newest goodies beautifully!